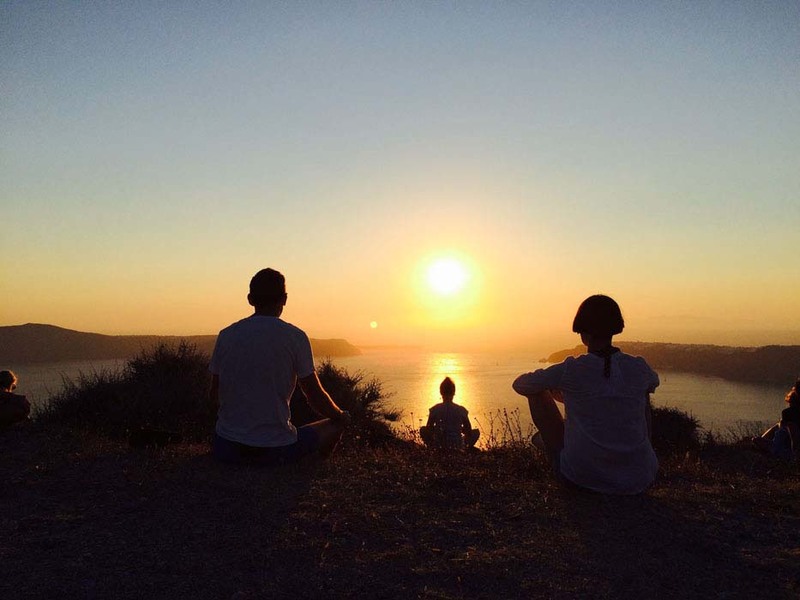 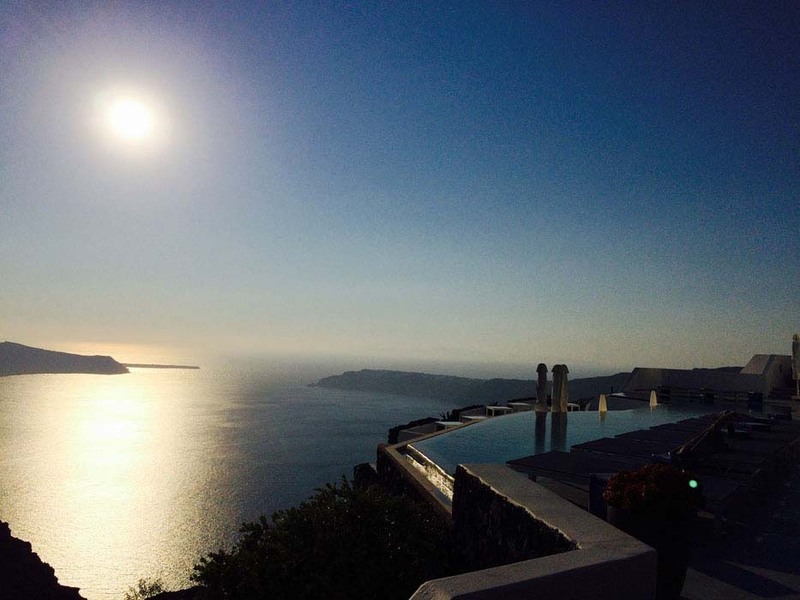 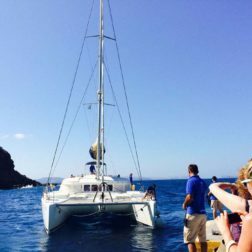 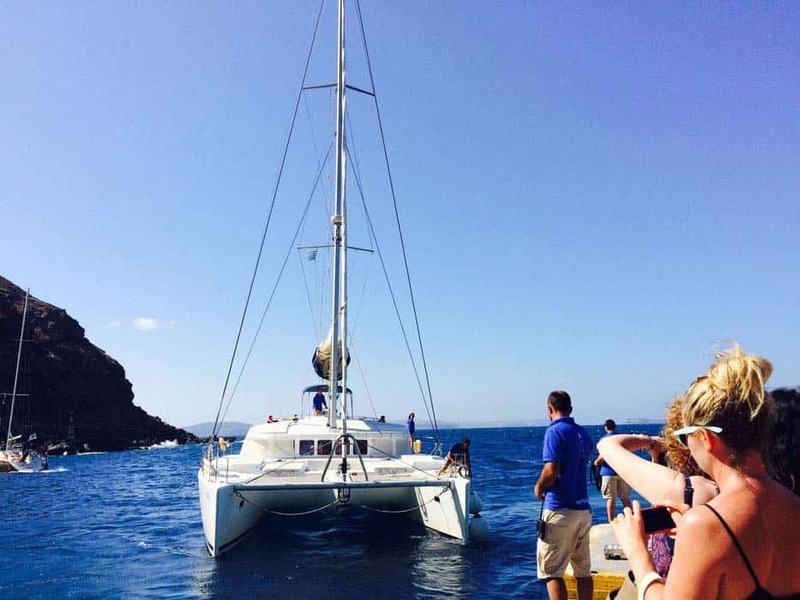 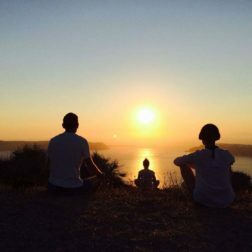 For a breathtaking and unforgettable yoga holiday in Greece, come and join us on this magical island of Santorini. 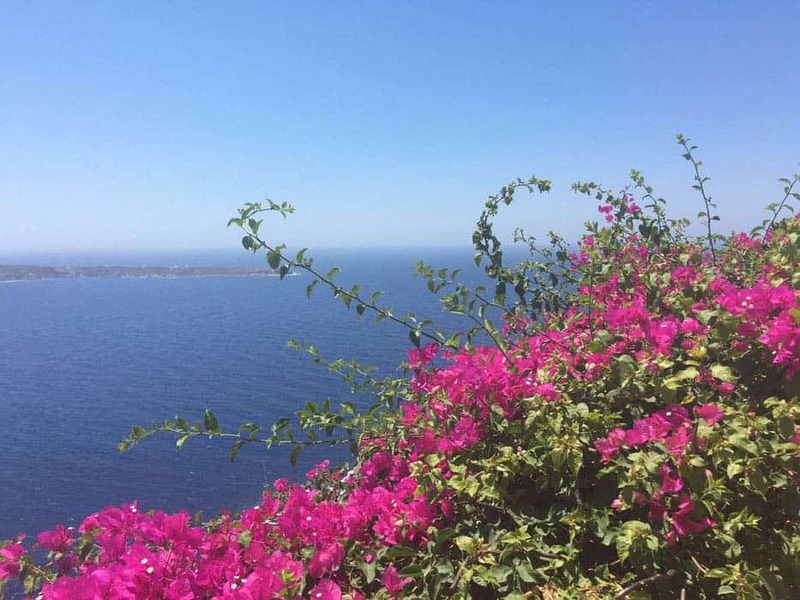 Feel totally rejuvenated and energised in the Greek sunshine. 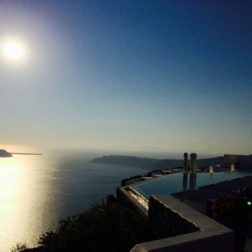 We invite you to indulge in first class yoga, sun, sea, the most awe-inspiring views across the Caldera and stunning sunsets. 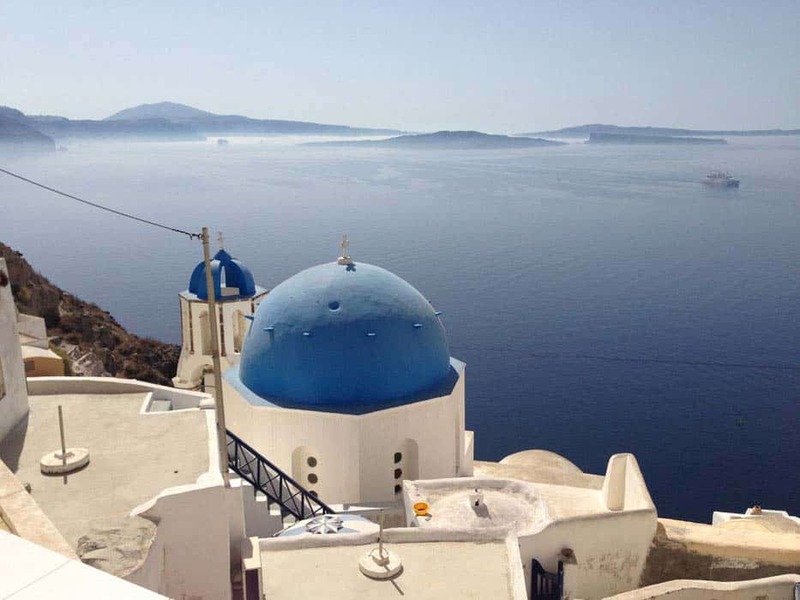 Santorini is one of the Cyclades islands in the Aegean Sea. 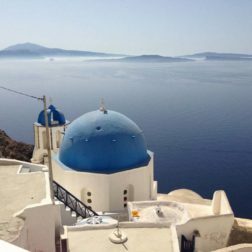 It has taken it’s shape, with the Caldera (crater) the body of sea that you can see from Oia and Thira from a volcanic eruption in the 16th Century BC, forever shaping it’s rugged landscape. 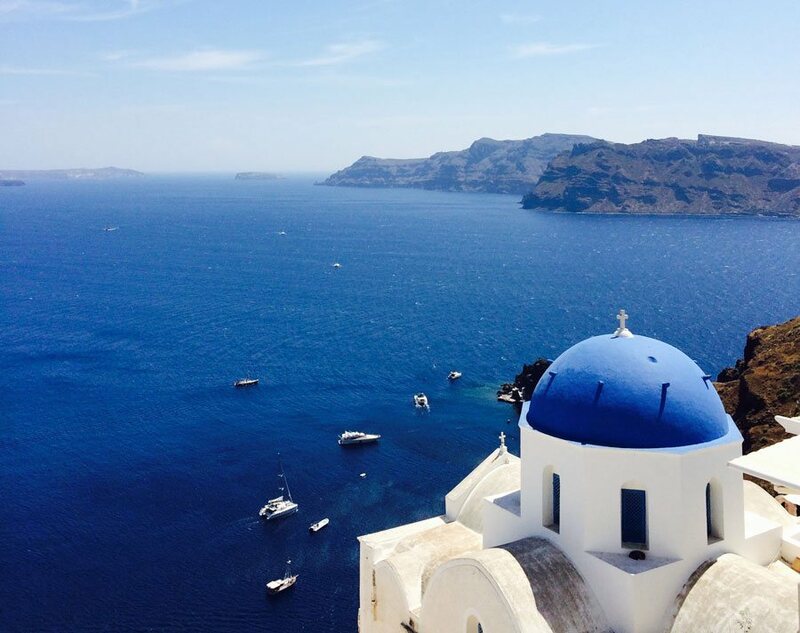 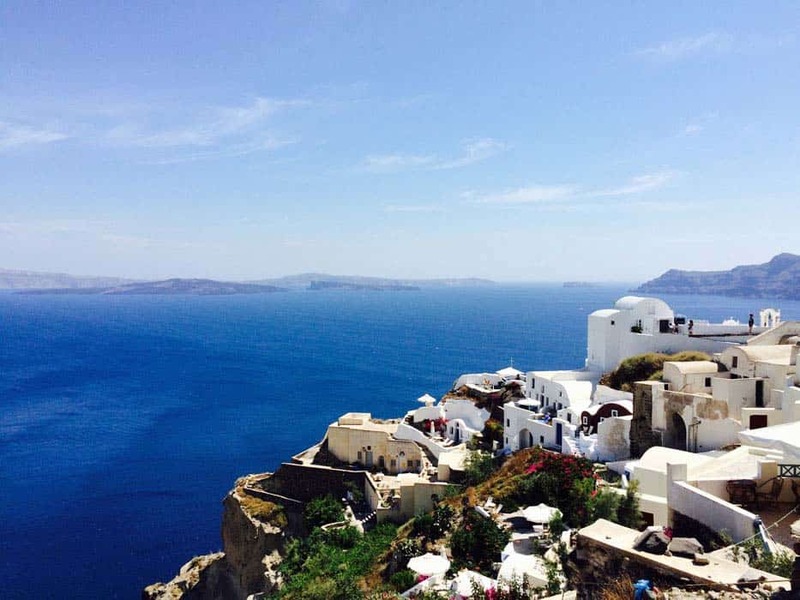 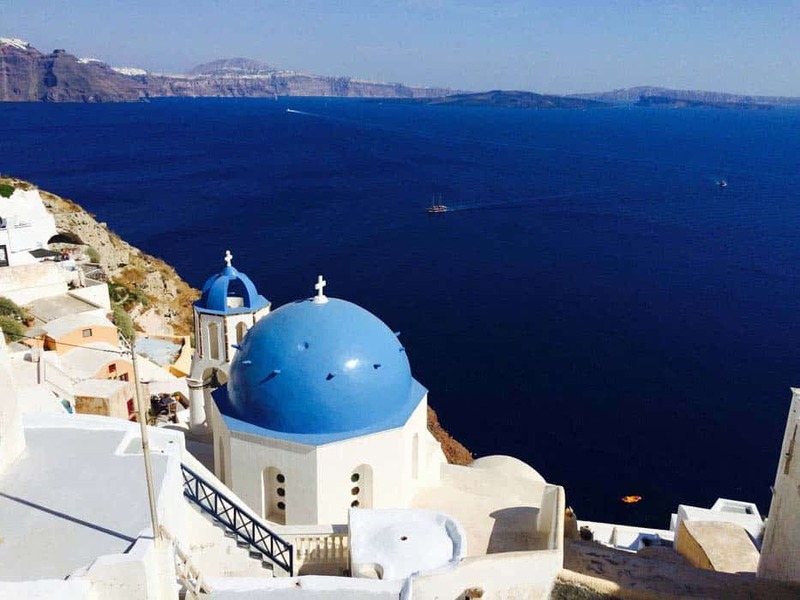 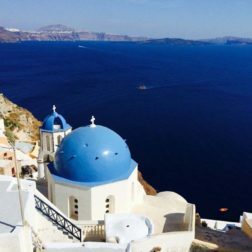 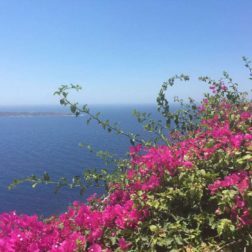 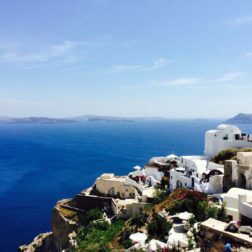 The island is well known for it’s beautiful whitewashed towns and the white and blue churches of Thira and Oia that perch on the cliffs overlooking the Caldera. 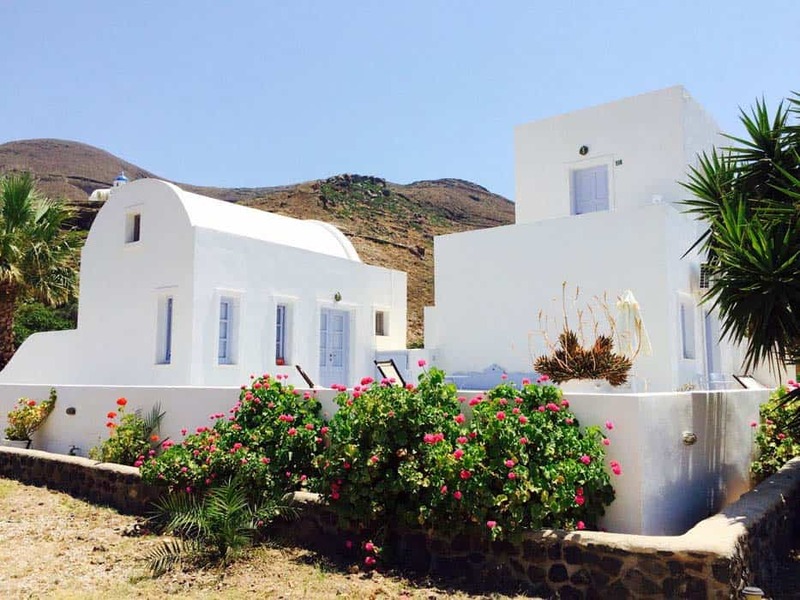 Here you can sit in stylish cafes and enjoy a meal or drink and watch some of the most spell binding sunsets you will ever see, a reflection of the colours of the volcanic island and the red, burnt orange and black sandy beaches. 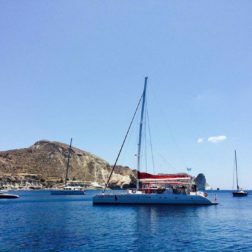 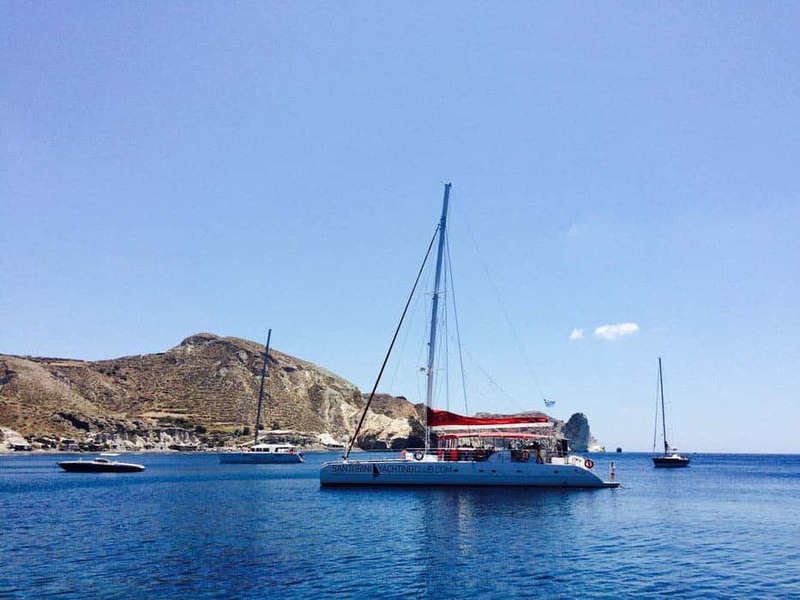 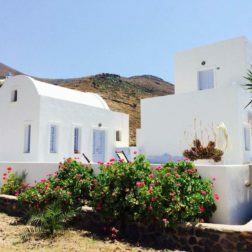 The dramatic landscape, picturesque towns, the wonderful heart warming people of Greece, the food and stunning scenery make it a very special location to retreat to.